“U” might be for umbrella, but so far, at the time of writing, the rain has held off. We’ve enjoyed some pleasant, bright days here at school. Such a relief for the children when they hear they do not have to wear their boots on the playground. 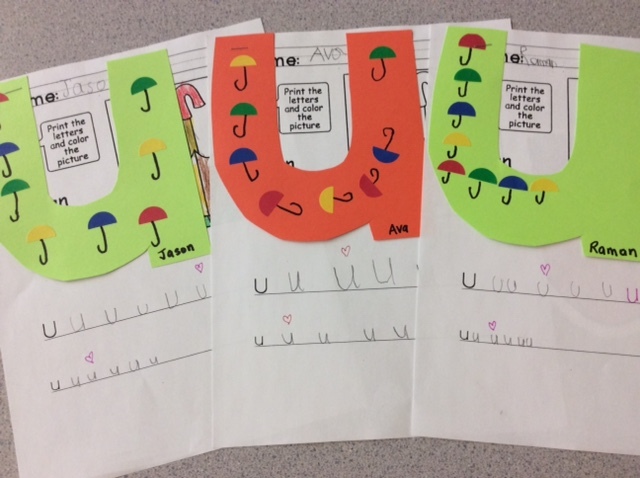 The children were charmed with these cute umbrellas “u’s” and they loved putting the stickers on and drawing the handles (“Hey, it’s a J!”) underneath. It’s fun when they can independently complete a project without the teacher hovering with the glue bottle for finishing touches. With U being complete, this means we are into the tail end of the Alphabet! 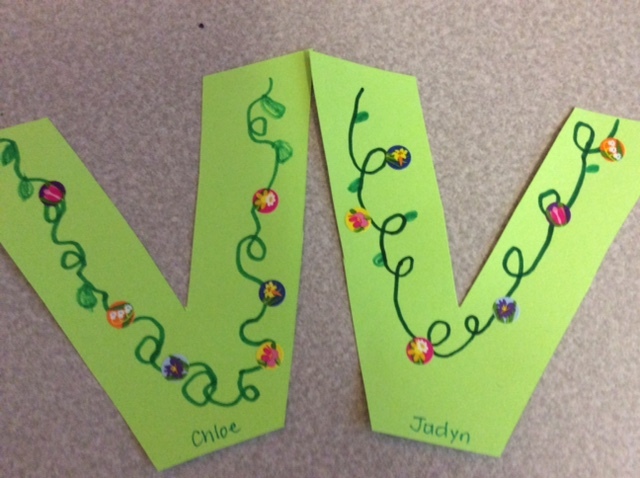 What an accomplishment for our Kindergarten learners as they have worked so hard learning their sounds, printing their letters (hopefully with the correct formation), making alphabet crafts and drawing pictures of words beginning with the letter of the week. Phew! Five letters to go and we are so excited. 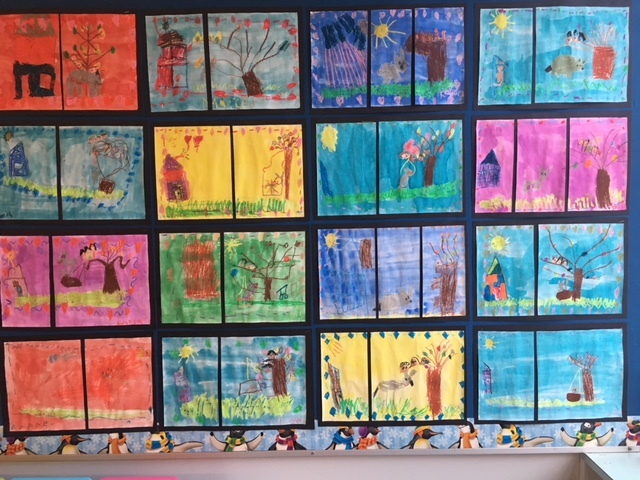 We’re looking forward to focusing on our literary theme of “Fairy Tales” when we are all finished. For Inquiry learning, we see our role as helping our children to develop their sense of wonder, curiosity and questioning skills. We’ve been working diligently on the 5Ws (Who? What? When? Where? Why? and How?) with our Mystery Box Inquiry. 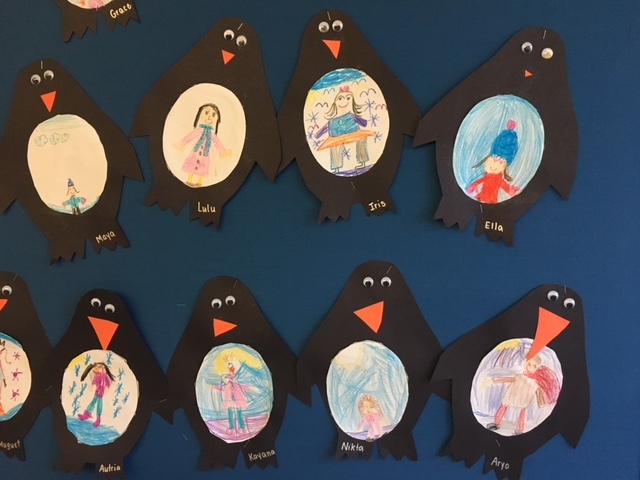 We’re using our theme of polar animals, with a focus on Penguins and their needs, and how they live and adapt to daily and seasonal changes. You can read more about this process here. We’ve been working on this strategy for a few years now and continue to have great success with it. We place an object in the Mystery Box and introduce the 5Ws. We teach the children how to ask questions using the question words…it’s difficult at the beginning. Everybody wants to guess! But we keep persevering as do the children and they have become quite the experts in their questioning. We’re teaching the children to ask questions to gather information; when they guess, “Is it a whale?” they gain no useful knowledge from us to help them to make a logical guess. 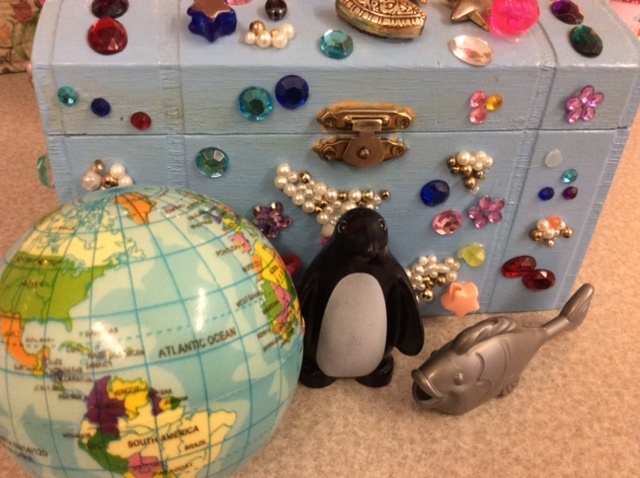 Here’s a sample from this week for the Lego fish we had hiding in the box (fish are one of the foods penguins eat). We answer as though there is a real object in the box, otherwise it’s too confusing. What does it like to do? These are all great questions and we’re having to give a lot of useful information so the children are really thinking about our answers and listening to the questions of their classmates. Some of our Inquirers are asking checking questions to confirm their thinking before they get to make a guess! 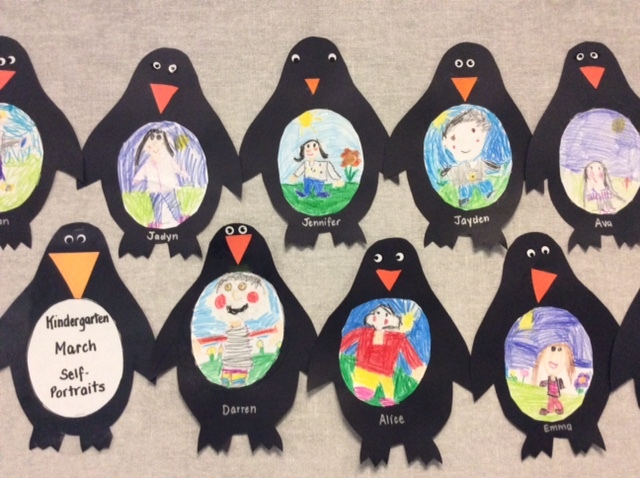 Penguin self-portraits for the month of March were completed with tremendous colour, detail and some pretty awesome fine motor work! 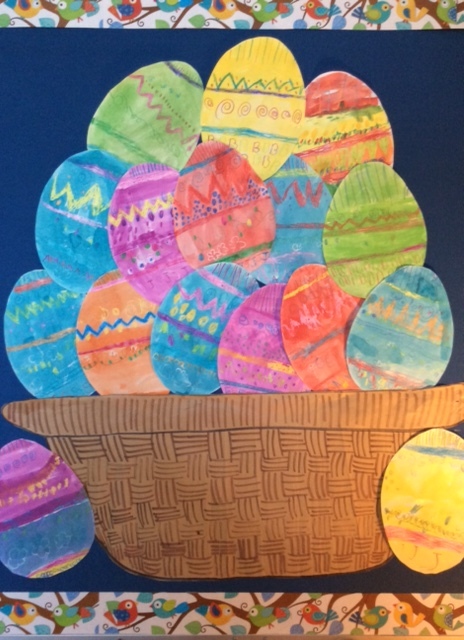 We’re super impressed with these backgrounds. Wow! 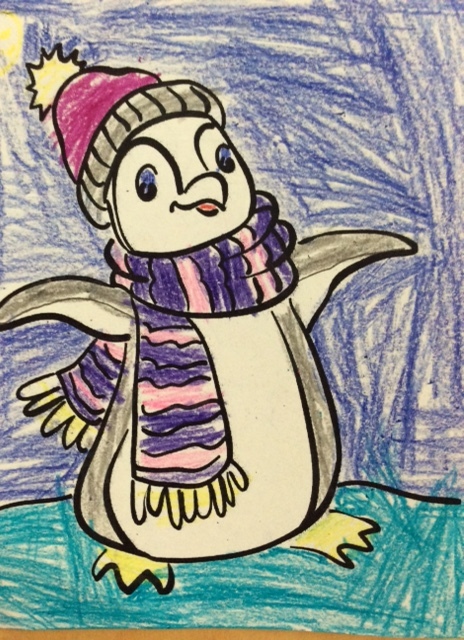 We created a recording page for the children. In their groups of three or four, each student took turns rolling their dice and everyone watched. 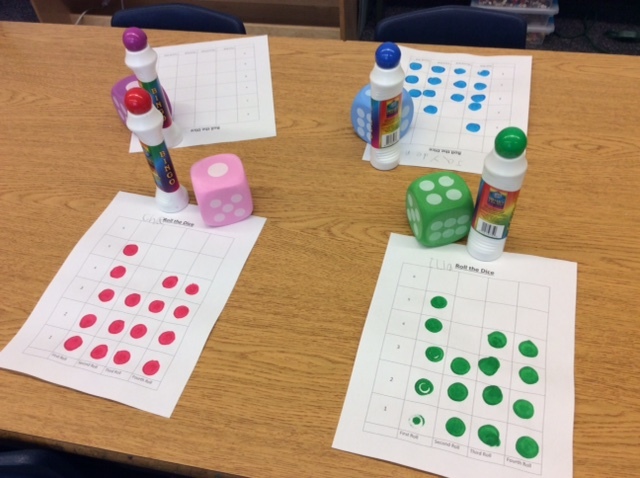 Each student recorded with bingo markers the number of dots that matched the number that was rolled. Then the second student took a turn and so it went around the table. We had some private hysterical laughter watching the children encourage their dice by giving it a good or shake rub before they rolled (they are too young for Las Vegas but they’ve certainly seen some professional dice rolling). Each of them wanted to roll the high number and there was a little disappointment when one, two or three came up. But like all good team members, they followed the teacher’s instructions and played the activity as expected. We finished painting our Lon Po Po drawings. They are so beautiful and vibrant. 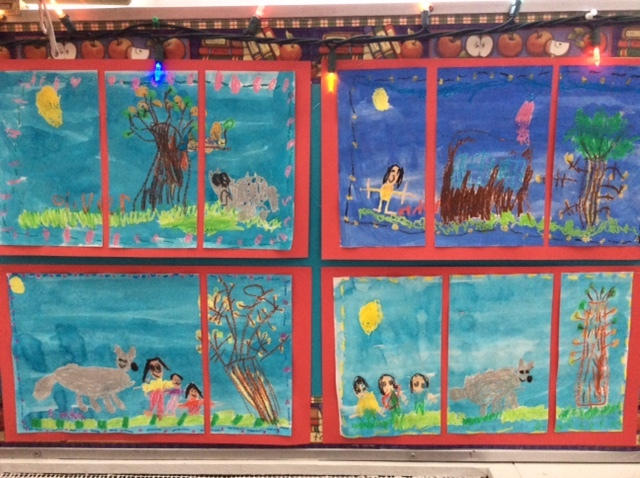 We cut the paintings, panel style, and mounted them on construction paper. 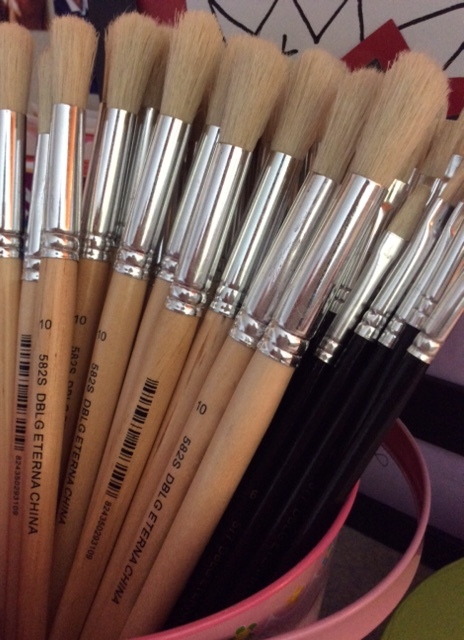 We also wanted to say “thank you” to our Principal, Mrs. Brady, for buying us new paint brushes, water buckets and paint pots. It was pretty much like Christmas opening our new supplies to be ready for our next big project! We would like to have all Library Books returned for our last Library day before the holiday. Please have all books back to school for Wednesday, March 14. Please let us know if you’ll be leaving early for the break. We will be having a big classroom clean up and will be sending home our spare clothes for a wash and an inventory before the break. Dismissal for Spring Break is at 12 noon on Friday, March 16. 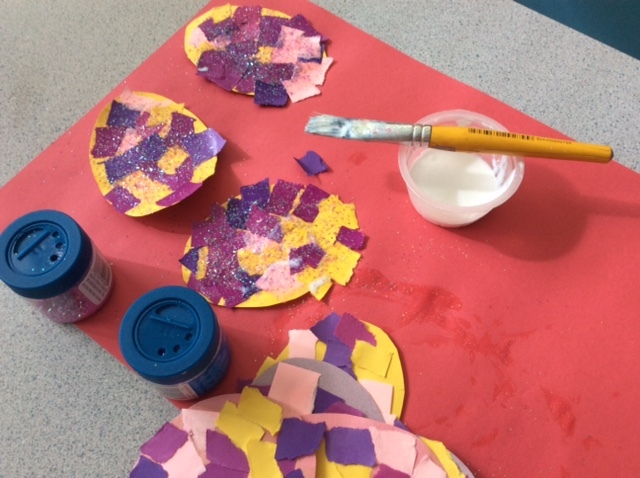 The past two weeks were exactly what we needed…lots of time in our classroom to play with our friends, have fun making crafts, sunshine and cold weather and slowing down the pace after a busy week of February Celebrations. 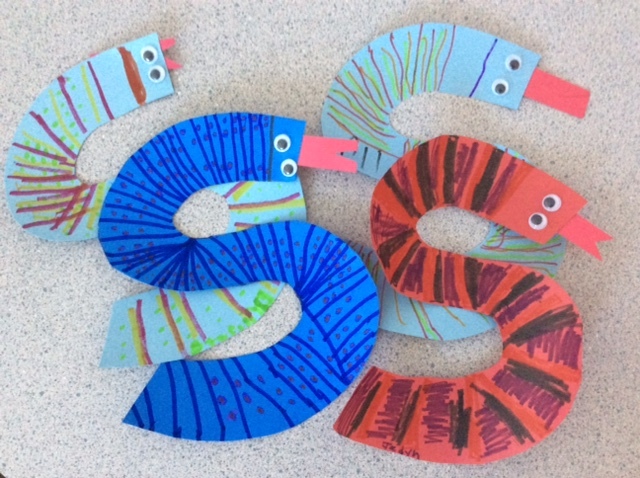 We’ve made our “s is a snake” and “t is a tree” alphabet crafts. There was much discussion around whether or not snakes had stripes, polka dots or both but in the end everybody chose to draw what made them happy. Sometimes that is best. The following week we had a talk about apples in the tree and what colour choices we might make to represent them in sequins. 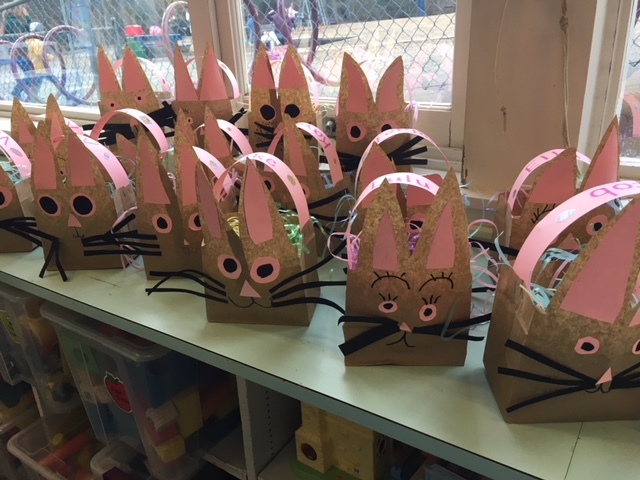 This is definitely one of the best things about Kindergarten…you never quite know what we’re going to be talking about. We’ve been practising making sets of numbers and counting them. We’re learning that numbers can have a variety of combinations but the number itself is always constant. 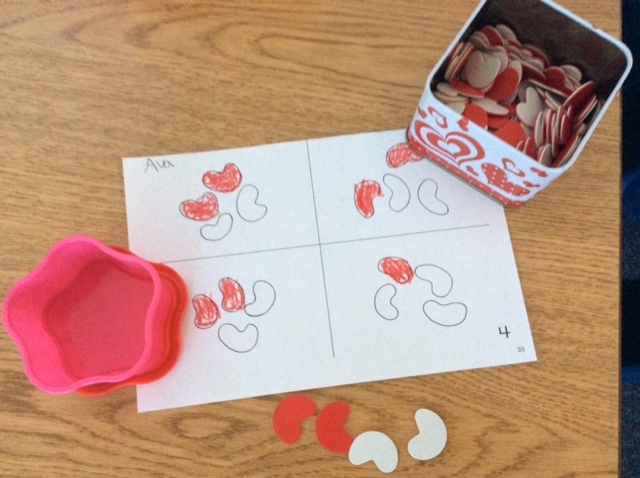 We’re using two sided bean counters to prove this. We’ve had fun with lots of counting from 1-20 using 1-1 correspondence. For some of the children, their finger doesn’t move as fast as they are counting aloud. Suddenly, they’ve counted to 25 but we only had 20 objects! We’ve found a counting wand or pencil really helps them to slow down the pace so pointing and counting are the same. 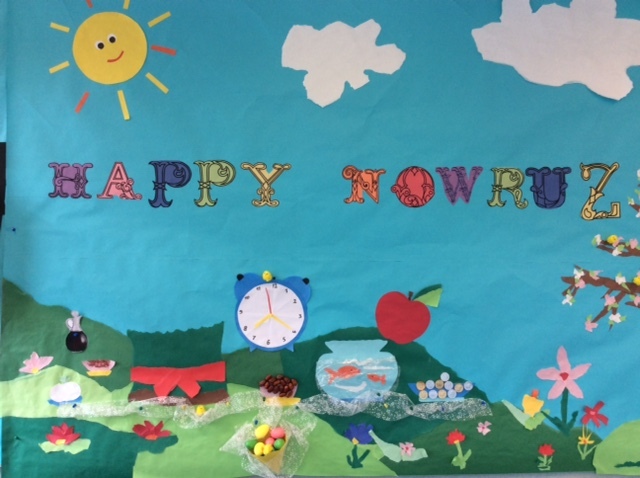 In all the flurry of February we forgot to make our February banners for our scrapbooks. We love these colour choices of red and purple! 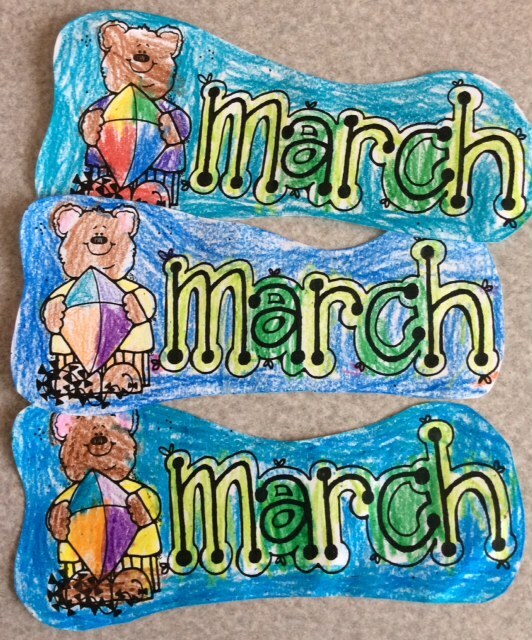 Then the next day, time for March banners! 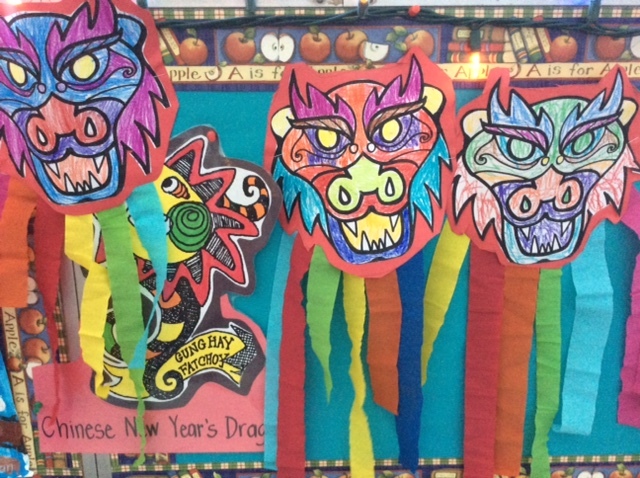 We’re just wrapping up a few more activities for Chinese New Year. We made our beautiful dragons on Monday, complete with rainbow beards. During Centre Time the children have been playing with tangrams and making animals and objects. We were fascinated with Grandfather Tang’s Story by Ann Tompert and Robert Andrew Parker, and the adventure of fox friends, Chou and Wu Ling. 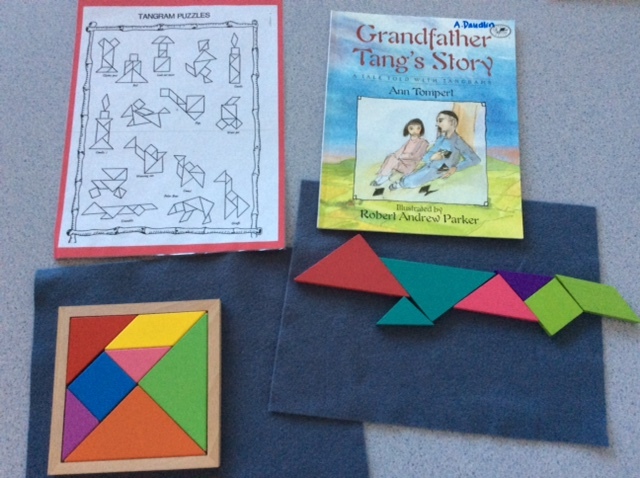 We had fun using the tangrams and patterns to create pictures. We read our favourite all time story for Chinese New Year, Lon Po Po by Ed Young. It’s the story of “Little Red Riding Hood,” but it takes place in China. 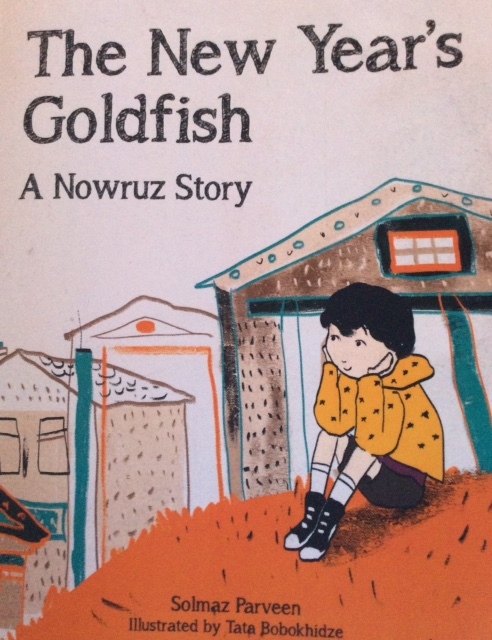 We enjoy the discussion of similarities and differences between different versions of familiar stories and this one is a great place to start. For our Art project, the children drew with pastel and then gave their drawings a wash with paint using the tempera paint pucks. The children loved this technique and were fascinated with how the oil based pastel resisted the paint. Some of them realised they could have printed their name in a more contrasting colour to their paint choice, but is this not what learning is all about? We been really enjoying the children’s family sharing. It is so wonderful to see your family photos and to hear your child talk about their favourite activities as a family. 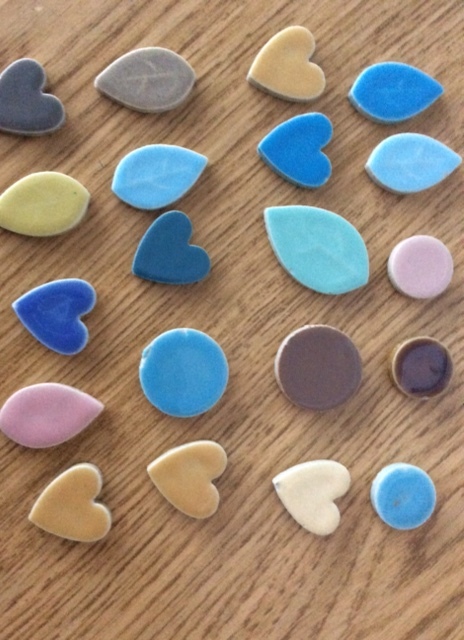 It’s especially heart-warming to hear the children make connections between how families can enjoy the same kinds of outings and activities, and then learn about new things they didn’t know about. 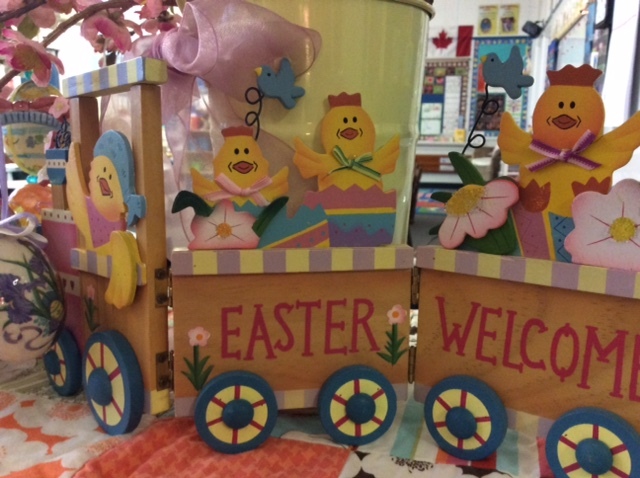 Please let us and the school office know if you are going to be leaving early for the Spring Holiday which begins on March 16 at 12 pm. School will be dismissed early so please advise Camp Ridgeview if your child needs to be picked up by our after school care. We’re still wearing our boots for rainy days, so please ensure you have them at school. The children have developed a good habit of wearing gloves now, even if it’s not snowy, just so they can stay a little warmer. Library Book Exchange will be on Wednesday.